It’s really important for parents to recognise the behavioural cues of their baby, especially when it comes to sleep as babies need a lot of it, particularly in the early days. Only when you start to recognise when your baby is tired and ready for sleep can you respond to their needs and put them down for a nap before they get overtired. It can be difficult for parents to recognise the visual cues that babies make when they are tired, but like most things in life, we learn by trial and error. Although these are very common signs of tiredness, your baby is unique so watch them regularly and learn to understand their own tired signs. Is your baby crying, fussing and acting unsettled? This behaviour is usually the last cue that your baby will give you when they’re tired and it usually means that they are now overtired. At this point, your baby’s body is past the point of being ready to sleep and is so physically fatigued that their stress response has been activated. 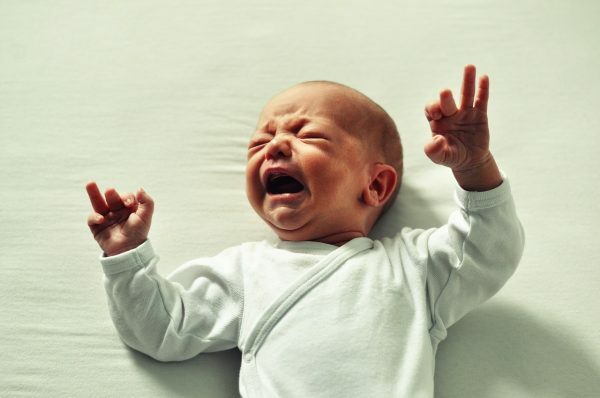 As stress hormones such as adrenaline enter their bloodstream, this is what results in a crying and seemingly inconsolable baby that won’t relax and calm down. It’s important to remember in these moments that this is not your baby’s fault; being overtired makes it extremely hard for your baby to relax and fall asleep. The best thing to do in these moments is to first calm your baby down and then you can settle them to sleep. The best solution for both you and your baby is to learn to recognise the visual cues of tiredness so that you can put your baby to sleep easily on time. That way you prevent your baby from becoming overtired and you also avoid the stress that comes with this for both of you. A newborn can handle no more than 45-60 minutes of awake time. A 3-6-month-old can handle no more than 1.5-3 hours of awake time. A 6-month-old can handle no more than 2-3 hours of awake time. If you bear this in mind and learn to recognise the subtle tired signs as they arise, then you should be able to develop a sleep routine that results in a well-rested, happy and healthy baby. Remember, early signs of tiredness can be easy to miss so don’t be too hard on yourself. Watch your baby over time and trust your instincts, you’ll soon be very tuned to what they are trying to tell you.